The Commerce Department announced yesterday that it will be reinstating a question about one’s citizenship status on the 2020 Census. The decision was made by Secretary of Commerce Wilbur Ross to help enforce the Voting Rights Act. Congress delegated to the Secretary of Commerce the authority to determine questions to be asked on the decennial census. On December 12, 2017, the Justice Department requested that the Census Bureau reinstate a citizenship question on the decennial census to provide census block level citizenship voting age population (CVAP) data that are not currently available from government surveys. DOJ and the courts use CVAP data for the enforcement of Section 2 of the Voting Rights Act, which protects minority voting rights, and the conclusion was reached that having citizenship data at the census block level will permit more effective enforcement of this law. Secretary Ross determined that obtaining complete and accurate information to meet what he felt was a legitimate government purpose outweighed the limited potential adverse impacts. “I find that the need for accurate citizenship data and the limited burden that the reinstatement of the citizenship question would impose outweigh fears about a potentially lower response rate,” wrote Ross. The Commerce Department said the citizenship question will be the same as the one that is asked on the yearly American Community Survey (ACS), and it noted that citizenship questions have also been included on prior decennial censuses. Between 1820 and 1950, almost every decennial census asked a question on citizenship in some form. 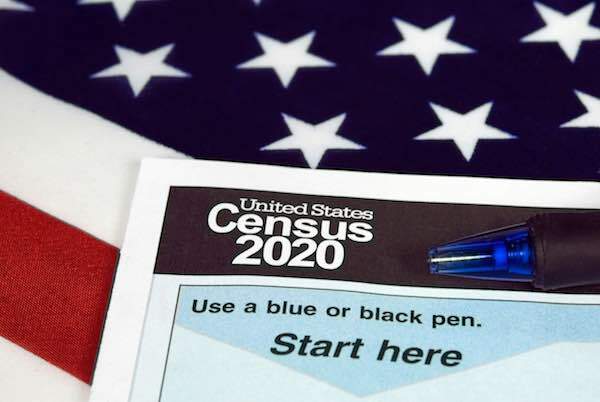 The Commerce Department also noted that current surveys of sample populations, such as the Current Population Survey and the ACS, continue to ask a question on citizenship. Among other uses, Census data are the basis for determining where federal funds are spent and how congressional districts are drawn. The Commerce Department’s decision led to an immediate backlash, largely along political lines, after the announcement was made. Congresswoman Eleanor Holmes Norton (D-DC) had previously introduced legislation to prohibit asking about citizenship status shortly after the Justice Department first requested the citizenship question be added to the Census. “If the point of the census is to get an accurate count, the least effective way to do it in the anti-immigrant atmosphere engineered by the President is to tuck it into the census questionnaire,” Norton said in a statement at the time. Several other states have said they plan to sue as well. And former Attorney General Eric Holder, who is now the chairman of the National Democratic Redistricting Committee (NDRC), said that his group also intends to sue the Trump Administration over the citizenship question. “We will litigate to stop the Administration from moving forward with this irresponsible decision,” said Holder. Per the terms of the Census Act, the list of decennial census questions must be submitted to Congress no later than March 31, 2018.